Celebrating its 10th anniversary in London's West End this year, the musical about the boy who falls in love with ballet dancing against the backdrop of the 1980s miners' strike still feels very relevant. Margaret Thatcher may no longer be pulling the political ropes in Britain, but with the general election dominating headlines the conflicting agendas and social divides remains evident, not to mention that the show's underlying message about "being who you want to be" is one that unfortunately still needs to repeating today. Based on the 2000 Lee Hall film and with additional music by the legendary Elton John, this is one of the rare occasions where an adaptation has translated very well onto the stage. The show remains true to its story while at the same time being infused by spectacular choreography and a whole range of catchy tunes. My personal favourite from the score has always been the powerful Solidarity, which both in lyrics and in music manages to convey the immense struggle and suffering of the miners. It's as good, if not better, on stage but with the addition of the impressive choreography and great performances each and every one of the songs is a stand out; Star Shines Down provides an emotionally compelling intro to the story; Angry Song lets Billy really show off his fantastic dancing chops, Born to Boogie adds a touch of lightheartedness while staying true to the show's emotional core; Merry Christmas Maggie Thatcher is incredibly catchy (point in case: a week later it is STILL stuck in my head); and The Letter is deeply moving. I can't remember any other musical (and I have seen a lot of them) where the music is so good across the board and I can't single out a song I like just a tad less than the others. Lee Hall and Elton John have created some real magic and it is performed beautifully at the Victoria Palace Theatre. The entire cast was on top form when we saw the show last Wednesday. The scenes where the masculine miners and the swirls of pink in the form of little girls in tutus collided created particularly poignant moments, but it is Brodie Donougher as titular character Billy Elliot who steals the show with his sincere performance and phenomenal dancing skills. At three hours in length Billy Elliot isn't a short musical yet everyone in the audience – children and adults alike – was completely enthralled from start to finish. As soon as the lights dimmed and the first spine-tingling tones of the male chorus penetrated through the auditorium a silence hushed through the theatre as we were treated to an exciting and touching show. A silence which was only broken by rounds of well-deserved applause during the most spectacular moments. This is a beautiful piece of theatre that is filled to the brim with a fantastic score, deeply moving performances and a lot of heart. Solidarity forever, indeed. 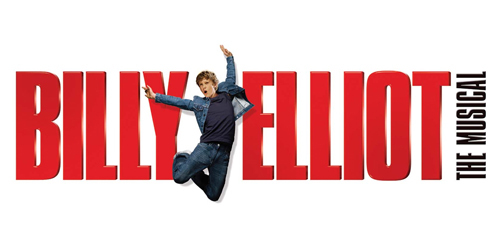 Billy Elliot the Musical is playing at the Victoria Palace Theare and is currently taking bookings until 19 December 2015. Buy your tickets here. Thank you very much to the fabulous Official Theatre for the ticket in exchange for an honest review.